The construction industry is in global demand and moving fast! Everywhere you look something is being built, being fixed. Look at Sheffield; the landscape is ever-changing with new buildings going up, old buildings being renovated and a city centre in the middle of a huge transformation. As the demand for construction increases, so does the demand for skilled, qualified workers. At The Sheffield College we teach the most sustainable construction methods across a variety occupations. Our construction study programmes are based at our City and Olive Grove Campuses, and include dedicated facilities with experienced tutors who have worked in the industry. At our City Campus we have upgraded our carpentry, joinery and furniture making workshops to make sure that you are learning using the latest equipment. We also have a dedicated brickwork workshop next door. If bringing a job together and applying the finishing touches is more your thing, you can practise painting, cutting in and wallpapering in our decorating centre complete with individual workstations. Alternatively you could flex your creative skills with a sign making Apprenticeship. This involves anything from making traditional hand painted signs, to using CAD and 3D printers to develop eye catching digital signs with an employer. Over at Olive Grove we host our plumbing and electrical engineering courses where they also both have industry-standard workshops. We know that the business side of the construction industry is equally as important as many people are self-employed within trades. We will help you cover the basics of pricing up jobs, how to communicate with customers and the management of people to help you get off the ground. We have a huge variety of tutors that make up our construction department, but the one thing they all have in common is enthusiasm and passion for their subject! Many of our tutors have worked in the industry in some form or another before making the jump into education, so they have invaluable skills, knowledge and experience that you can learn from. They also know what it takes to make it in the industry so they can advise you on getting work experience, finding an Apprenticeship or where to look for a job when you finish your study programme. 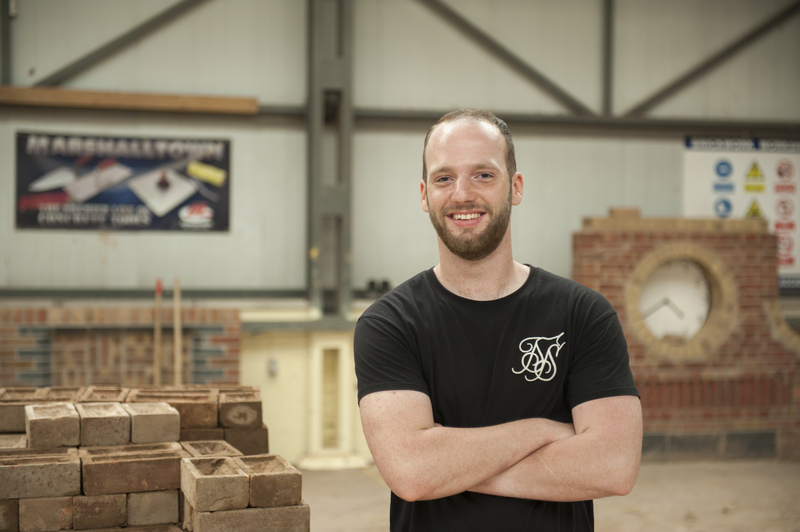 Seeing as many of our tutors have worked in the construction sector, we have a lot of connections with local businesses and employers in the industry. This means that you'll have plenty of opportunities to interact with those people who might be looking to hire you in the future! It could take the form of visiting guest speakers, class trips to local building sites, competitions and project briefs set by employers or the opportunity to undertake some work experience with a construction firm. Whatever the opportunity, try to take as much from it as possible so that you can use it to your advantage when it comes to applying for jobs. Click on the tiles below to take a look around our facilities and explore them for yourself. At The Sheffield College, we know that work experience is vital in helping you to fully understand what you've been learning in the classroom and in making you stand out from the crowd when it comes to applying for jobs. All of our study programmes in this area contain and element of practical work experience, and our tutors also aim to introduce students to the workplace through study visits to local civil engineering projects, visiting guest lecturers and employer-set live briefs. 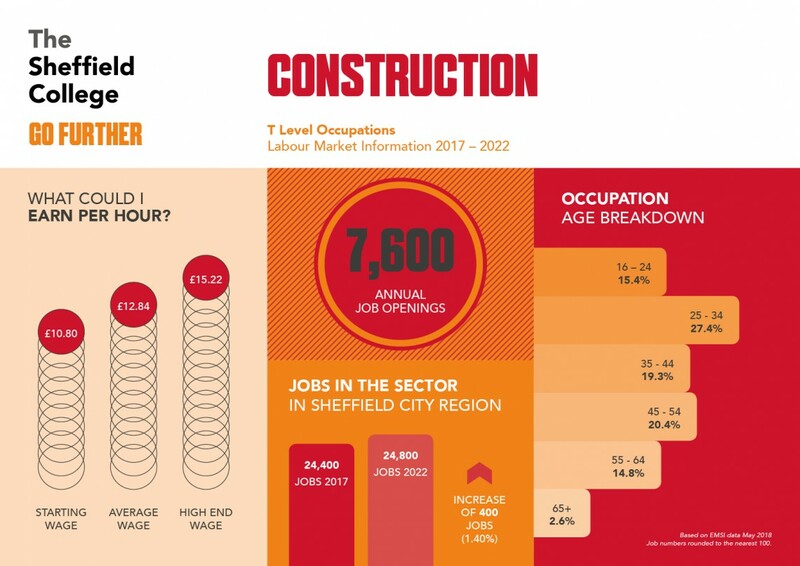 With construction projects in Sheffield springing up left, right and centre, job opportunities in this sector are set to increase. In fact, over the next 3 years Sheffield City Region is expected to see an increase of 400 jobs in the building and construction industry. Not to mention the average wage for employees in this industry is over £30,000 a year, so there's plenty of room for progression and a long-term career for those who are willing to work for it! If you'd like to find out more information about local career opportunities in this sector, you can use our online tool, Career Coach, to access information about different job roles, average earning potential and even live vacancies. "They went above and beyond for me and have even helped me to get my job with Scorpio Builders."